The African Development Bank (AfDB) has recently approved a USD 16.5 million loan to finance the third phase of the Tanzania Institutional Support Project for Good Governance (ISPGG III), which seeks to support the government to achieve inclusive growth and macroeconomic stability through more effective public financial management (PFM) and conductive business environment. The loan, with an interest rate of 0.00%, a maturity term of 50 years and a grace period of 10 years, is part of a USD 140 million loan that is being disbursed in equal installments of USD 35 million per year, which started in the 2014/2015 period and finishes in the 2016/2017. As happened with the second phase developed during the period 2015/2016, which was focused on the need to consolidate the goals achieved in the first phase in terms of public procurement, the third phase will focus on enhancing capacity, improving accountability, transparency and integrity in PFM. The ISPGG III will also support capacity building development and PFM reforms in Tanzania, while it will complement other sectors’ reforms programs under the supervision of other development partners that are being currently undertaken in the power and PFM sectors, explained AfDB Director of Governance, Economic and Financial Management Department, Mr. Jacob Mukete. 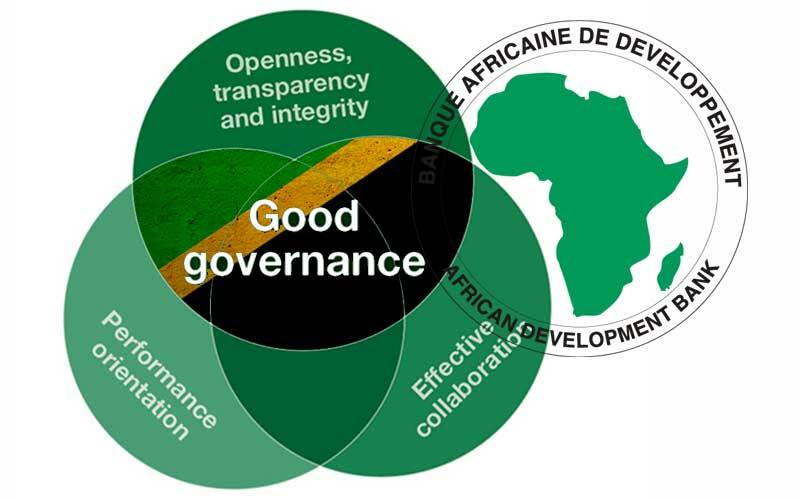 According to the AfDB, the ISPGG III as the phase I and II did, will contribute to major improvements in PFM emphasizing procurement, anti-corruption and external audit that will be in line with new challenges internationally set in public sector management. Results of the first two phases can be seen in Dar es Salaam port management which recorded an important improvement in good governance since its punctuation for incidences of corruption and rent seeking activities improved by 62.05% from 2.53 in 2014 to 4.10 in 2015 against a deterioration by 12.33% from 2.92 to 2.56 in the same period at Mombasa port according to the Shippers Council of Eastern Africa (SCEA). The European Union (EU) Delegation to Tanzania, through the European External Action Service (EEAS), has also recently set aside a EUR 626 million fund for the development of projects in good governance and human development in the country towards 2020. The German Embassy in Dar es Salaam is also currently collaborating with the fight against corruption awarding Tanzania with a USD 175 million fund that will be partially awarded in cash and labor to enhance good governance and other sectors like water, health and renewable energies within the next three years.